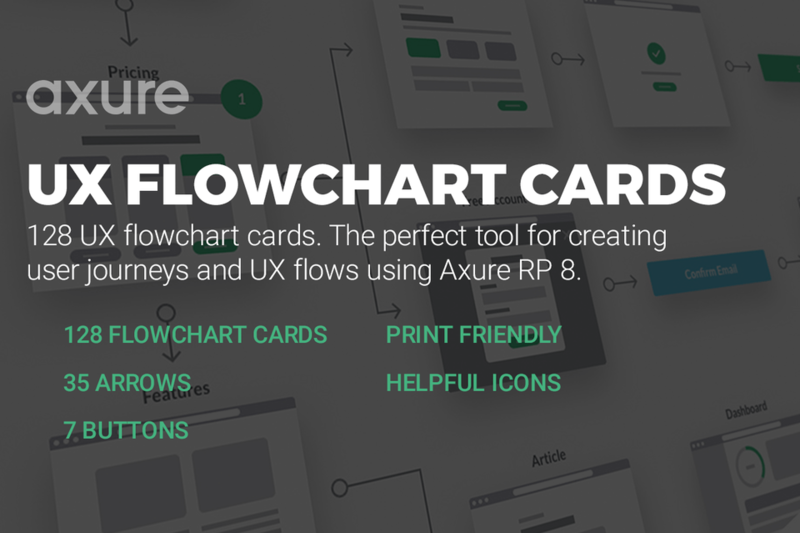 UX Flowchart cards for Axure 8. Includes 128 flowchart cards in multiple categories, with extra tools, icons and buttons to make it easy to create your next user experience journey. Quickly drag and drop your next UX flow.